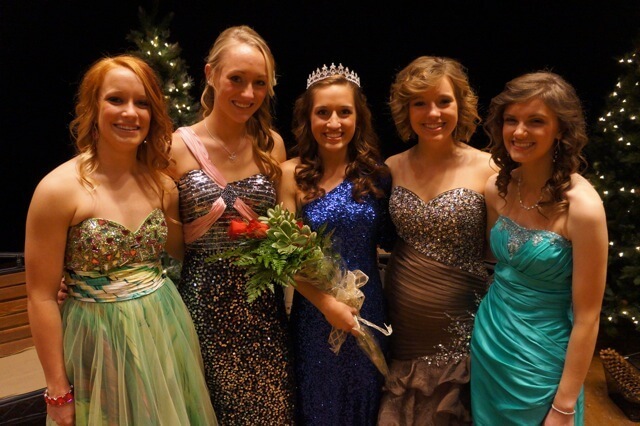 McKenzie Mulder was crowned the 2013 Tulip Festival Queen on Monday, November 19, 2012.  Mulder will reign over the 73rd annual Tulip Festival, happening May 16, 17 and 18 in 2013. A senior at MOC-Floyd Valley High School in Orange City, Mulder is the daughter of Scott and Jill Mulder. Mulder is joined on the 2013 Tulip Court by court members Larkin De Haan, daughter of Derrick and Pam De Haan; Jessica Giannantonio, daughter of Patrick and Susan Giannantonio; Autumn Pluim, daughter of Dale and Jill Pluim; and Samantha Wielenga, daughter of Brad and Julie Wielenga. Mulder and her court members spent Monday afternoon giving presentations to and answering questions with jwith judges Alicia (Kuiken) Gunderson, Kurt Van Noord and Connie Wagner. A pageant was held for the public in the evening. Each of the candidates answered questions on various topics and gave an individual presentation on growing up in Orange City. Mulder was crowned queen as a conclusion to the evening. 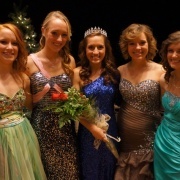 Mulder and her court will serve as ambassadors for the city of Orange City and Tulip Festival. They will travel around the state making appearances on television and radio stations, as well as visits to the state capital, schools, residential facilities, and various clubs and organizations.